Two cases of attempted suicide were reported in Malé and Meemu Atoll Muli today. A woman in Malé stabbed herself in the stomach after her husband left to Syria, local media report. The 28-year-old woman was hospitalized at 1:30pm today and underwent a surgery, police said. According to Haveeru, the woman’s husband left to Syria last week with a second wife. He was a suspect in the Sultan Park bombing of 2007. Scores of Maldivians have left the country to fight with radical Islamist groups in Iraq and Syria. Some include women and children. In Meemu Atoll Muli, a 26-year old man attempted to commit suicide at 12:40am after a quarrel with his family. When police officers broke down his door, he had already inflicted harm to some areas of his body, the police said. Attempting to commit suicide is a class one misdemeanor in the new penal code and is punishable by up to a one year in prison. A ‘halfway house’ operated by the National Drug Agency (NDA) for recovering drug addicts was opened in Hulhumalé yesterday. Recovering addicts will spend three months at the halfway house studying and learning work skills. The halfway house was funded out of the government budget with assistance from an Italian organisation called Caritas Italiana. The foundation stone for the halfway house was laid in July 2011. Speaking at yesterday’s ceremony, home minister Umar Naseer said providing rehabilitation for drug users was a high priority for the current administration. He noted that drug addicts often relapse after undergoing treatment at rehabilitation centres. The halfway house will play an important role in reintegrating addicts back to society, he said. Some 17 recovering addicts are currently residing in the new halfway house. A national drug use survey published in 2012 by the United Nations Office on Drugs and Crime reported that 48 percent of drug users in the Maldives feel they are neglected and perceived as outcasts by the local community. The stigmatisation of drug addicts leads to the creation of a cycle of addiction with recovering addicts relapsing back into drug abuse as an escape from perceived ‘disgrace’ they have brought upon themselves and their families. The UNODC survey found that there were 7,496 drug users in the Maldives between the age of 15 and 64 in the Maldives and that 48 percent of drug users in the capital Malé were between the ages of 15 and 19 years. The Islamic ministry began distributing Zakat (alms for the poor) yesterday at a rate of MVR500 (US$32) per person. Zakat is an obligatory alms tax collected from the accumulated wealth of all able Muslims. A large number of people reportedly began queuing outside the Islamic centre at 10:30am yesterday. More than 13,000 people in Malé and 37,800 people in other islands are registered as poor and eligible for Zakat. Zakat is collected in the Maldives as 2.4kg of rice per person or its price, ranging from MVR12 to MVR75 depending on the quality of the rice. The ministry has not revealed the amount collected as Zakat this year. Last year, the ministry collected MVR1.3 million (US$84,306) from Malé, which was distributed at a rate of MVR130 per person. The ministry also collected a record MVR52 million (US$3.3 million) as property Zakat last year and distributed MVR400 (US$26) per person. The registered number of poor in 2014 was more than 53,000. The property Zakat for this year was distributed last month at the same rate of MVR400 per person. This article is by Hussein Shameem, a partner at Aequitas Legal Consultants and the former deputy Prosecutor General. Today is July 16, 2015, a momentous day in the history of the Maldives’ criminal justice system. The penal code of 1968 expired at 11:59pm on July 15. 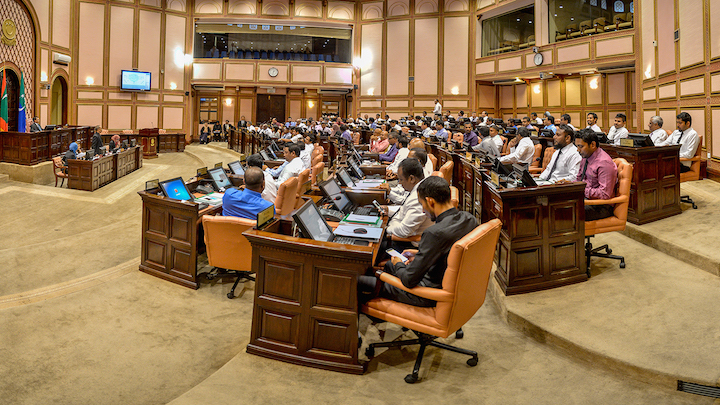 In this historic moment, 12am on July 16, 2015, a brand new penal code takes effect in the Maldives. The revolutionary change we are ushering in today is significant even by global standards, and equivalent to the historic change brought by the ratification of a new constitution in the Maldives on August 7, 2008. The constitution, in addition to granting many fundamental rights, also brought in major reforms to the criminal justice system. These reforms can only be complete with the enforcement of the new penal code. The statute that defines criminal offences and the punishment for the commission of those offences is the penal code that took effect today. This law states, in clear and simple language and not in legal jargon, what criminal offences are and what their corresponding punishments are. 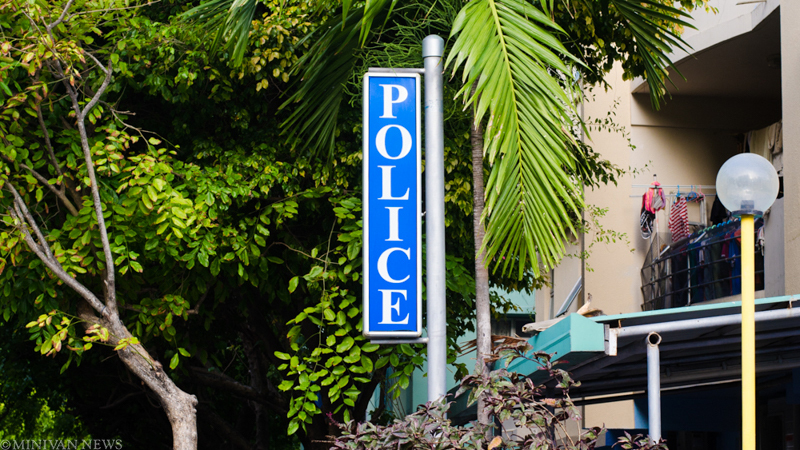 This penal code will improve transparency in the law enforcement sector. It clearly lays out what law enforcement officers can and cannot do, and provides measures that judges must refer to in meting out punishment. It allows an offender to argue several justifications in their defense, such as self- defense, defense of property or that of law enforcement authorities. This is the age of transparency and access to information. Laws must clearly state how people are to be treated. This is a crucial element of the philosophy of the rule of law. If an individual knows beforehand how they will be treated under the law, it will increase their trust in the legal system. Public trust is one element lacking in and much needed for the Maldives criminal justice system. This penal code paves a path to gain that trust. This penal code only applies to events that occur after 12:01am on July 16, 2015. Hence, the old law will be used in the prosecution of events that occurred before the new law came into force. This is because the public must be notified before a certain action is declared as a new offence. If an act is not an offence at the time at which it was committed, the person who committed the act cannot be prosecuted retroactively by a new law. This is not justice. Since this law came into force today, and since the notice was provided today, this law only applies to events that occur today onwards. What will happen to cases under investigation at present? Some crimes are reported to the police only days after they took place. Since the current penal code only applies to events that occur from today onwards, the police must consider the date on which the reported offence took place. Depending on the date of the alleged offence, the law they apply will be different. Hence, law enforcement agencies will have to consider both laws for a time being. But this will be resolved soon, when police start receiving reports of events that occur from today onwards. This overlap is inevitable. If the enforcement of a criminal law is suspended for any period of time, it may permit criminality for that period. The police and law enforcement agencies will have to bear some difficulties in this period of transition, for our protection and safety. What will happen to cases sent for prosecution to the Prosecutor General’s Office? The Prosecutor General (PG) must press charges according to the law in force at the time that an offence was committed. Even if the punishment for the offence is considerably lesser in the new law, the charges must be filed under provisions in the law in effect at the time the act was committed. What will happen to ongoing cases at the criminal court? With the enforcement of the new penal code, prosecution in ongoing cases will continue according to the offence the person was charged with under the old law. Firstly, the defendant will have the right to the justifications outlined in chapter 40, 50 and 60 of the current penal code. For example, if the offence was committed in self-defense, the defendant can take this argument up in the trial. Chapter 40 introduces six defenses, chapter 50 introduces seven, and chapter 60 introduces six. These chapters detail how these justifications can be used. The defendant will now have the right to argue the justification relevant to their circumstances. Secondly, Article 59 (a) of the constitution states that if the punishment for an offence has been reduced between the time of commission and the time of sentencing, the accused is entitled to the benefit of the lesser punishment. Hence, judges are obligated to consider the punishments outlined in the old and new laws and mete out the lesser punishment. If not, the accused has the right to appeal the sentence at the High Court. Unlike before, the accused can appeal either the reasoning or the severity of the sentence at the High Court. If judges find that the accused was handed the severe sentence, they can reduce the sentence to the lesser punishment. What will happen to completed cases? If a case had been tried and a verdict had been delivered before the new law came into force, there will be no change to the sentence. Even though provisions in the above-mentioned laws will take precedence over the penal code, for prosecution under those laws, the defendant will get the benefit of defenses. If the defendant is able to prove such a defense, they may not be punished. For example, if a defendant is able to prove they were mentally incapacitated at the time of committing the offence, they may not be sentenced. 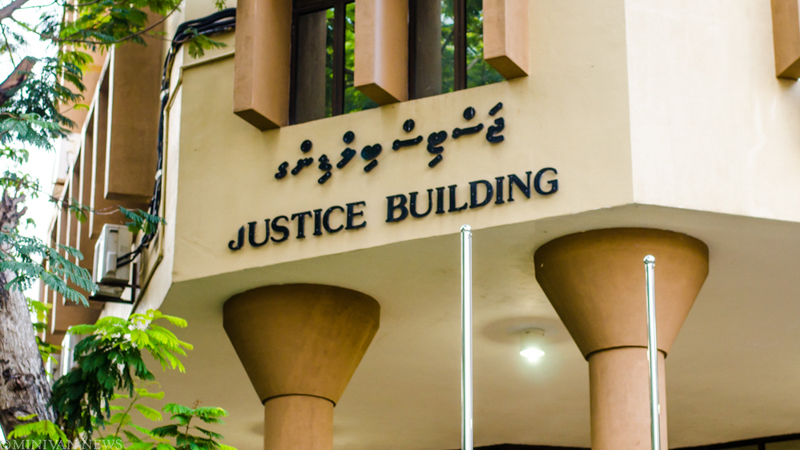 The offences mentioned in these laws, and the procedures relating to those offences must be reviewed by the Majlis and a decision on the annulment of these Acts must be made before July 15, 2016. Because of all the reasons outlined above, the enforcement of the new penal code is truly a historic event. It opens doors for the Maldivian criminal justice system to become a globally accepted system. Human beings wrote the penal code. Therefore, it is likely to have some flaws. They will become clearer as we begin to enforce the new law. These flaws can be corrected and the law can be improved further. In all countries, it takes some time to reform and improve laws. Our task now is to identify such gaps and block them. The Attorney General’s Office has set up a mechanism to do so—the Legal Resource Center (LRC). This center will consult with all stakeholders, conduct research and bring the necessary reforms to this law. The legal system is not just dependent on good laws, but also on their enforcement. If we are unable to implement and enforce the law, even the most perfect law will not bring resolutions. I call on the law enforcement agencies to be sincere in enforcing this law, even if there are some difficulties at first. When problems arise, we must resolve them. The real problem is when there is no interest in solving problems. Shameem is a consultant with the Legal Resource Center. This is a translation of an article written in Dhivehi. Translation by Zaheena Rasheed. The Civil Service Commission (CSC) has said that annual bonuses worth MVR40 million (US$2.5 million) will be distributed to more than 13,000 civil servants with the monthly pay for July and August. CSC senior human resource officer Mohamed Riza told the press today that the annual bonus will be handed out based on evaluation of civil servants’ work between February 2014 and January 2015. Civil servants who earned 95 percent and above in the appraisal will receive a bonus equivalent to a month’s pay. Those who earned between 85 and 95 percent will receive two thirds of their basic salary, while those between 84.9 and 75 percent will receive one-third of their basic monthly salary. Some 13,905 employees or 55 percent of the country’s 25,076 civil servants will receive the bonus. A three-hour play with 2,000 students from across the country and a skydiving event are among activities planned to mark 50 years of independence. The government is planning grand celebrations to mark the Maldives’ golden jubilee of independence from the British on July 26, including a parade by the army and school brass bands, reopening of public parks with water fountains, an official function at the Usfasgandu area with more than 100 foreign dignitaries, official games at the national stadium, and an atoll football tournament. The government has not yet disclosed the full program for the day. Deputy minister for home affairs Ahmed ‘Maaz’ Saleem, who is in charge of the ‘Minivan 50’ (Independence 50) office organising the celebratory activities, told the press that the three-hour drill will take place at the national stadium from 9pm to 12pm on the night of July 27. The play will show different stages of Maldivian history from the Buddhist-era to the present and depict the sacrifices of national heroes to maintain the country’s independence, Saleem said. The drill will also feature video projections. The Minivan 50 office has awarded a contract to a British company called The Projection Studio to manage sound, light and projection at the official celebrations. Some 15 Maldivians have meanwhile undergone a 15-day training session in Addu City for a skydiving event on the night on June 27. The skydivers will land at the national stadium using special parachutes manufactured with the national flag. The second part of the skydiving training is due to start in Malé tomorrow with Malaysian trainers. Several areas at Male’s waterfront have meanwhile been closed off as the government rushes to complete major renovation projects including a new official jetty and a musical water fountain at the Republic Square before July 26. Meanwhile, president’s office minister Mohamed Hussain Shareef told the press earlier this week that more than a 1,000 people will attend the official function on July 26, including all Maldivian citizens born on July 26, 1965. Shareef also dismissed allegations of corruption in the use of the independence day budget. The home ministry has received special permission from the finance ministry to award some projects without a bidding process due to lack of time. The president’s office minister refused to disclose the total amount allocated for independence day, but finance minister Abdulla Jihad last week told Minivan News the budget was MVR150 million (US$9.7million). Comment: Will the new anti-terror bill deter Maldivian ‘Jihadists’? This op-ed is by Mohamed Hameed, the former head of the police intelligence department. The first reports of Maldivians joining in and dying in the civil war in Syria came in during mid-2014. 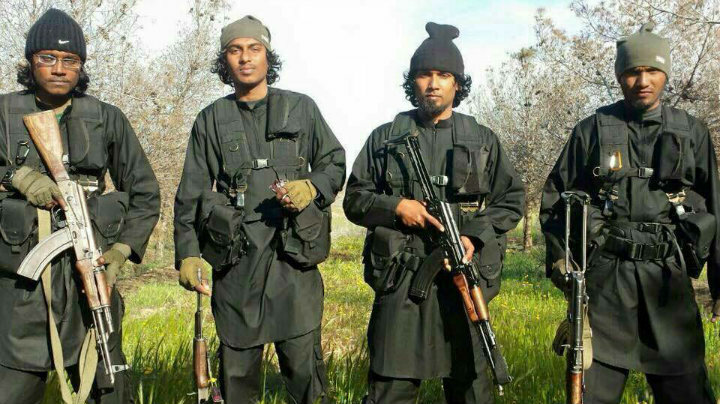 Since then, more than a hundred Maldivians, including women and children, are reported to have left the Maldives to fight in battle in the ongoing war in Syria and Iraq, and to live under the banner of the Islamic State. Dozens more have reportedly died. The latest are three young men from Malé’s Kuda Henveiru ward. The Maldives needs legal measures to prevent the death and the steady outflow of Maldivians, but will the provisions in the new anti-terror bill, drafted by the Attorney General’s Office and submitted to parliament on July 6, act as a deterrent? The bill metes out a jail term of between 17- 20 years for those who join in a foreign war or leave the Maldives with the intent of joining a foreign war. A jail term of 10 to 15 years is proposed for those who attempt to leave the Maldives with the same intent. According to media reports, at least two groups of seven Maldivians have been caught in Sri Lanka and in Malaysia while attempting to board flights to Turkey. Under the new law, they may be jailed for up to 20 years. Harsh penalties can act as a deterrent. But they are not enough. The Maldives has tough laws on gang violence and knife crime. But the harsh penalties have done little to curb the fatal stabbings. In 2010, in response to a surge in murders of young men, the parliament passed a law banning threats and possession of dangerous weapons. The law metes out a jail term between six months and seven years for threats and up to three years in jail for possession of weapons. However, 12 people were killed in the ensuing two years. In early 2014, President Abdulla Yameen’s administration removed a six-decade moratorium on the death penalty. In August of the same year, after three young men were stabbed to death in the space of a month, the parliament moved to restrict the right to remain silent and access to a lawyer for suspects. Since the amendments passed in December last year, six people have been killed, including three migrant workers. Robust laws are never enough. There have been multiple instances where law enforcement, especially investigative agencies have failed in dealing with cases of serious crime. This has affected public safety, and lead to questions over the force’s competence in protecting the public. The police service is perceived to operate without clear policies and strategies to tackle crime in the Maldives. The model which the police service uses in order to achieve policing objectives is not known to the public or its officers. Counter-terrorism policing is a more complex subject where success relies heavily on how well regular police work is carried out in partnership with the communities the police service serves. The criminalization of participation in foreign wars or attempting to do so is a minor aspect of the new anti-terrorism bill. The bill is mainly concerned with defining some 14 other offences as terrorism, including murder, disappearances, kidnappings, damaging property, hijacking vehicles, endangering public health or security, damaging public infrastructure and suspending public services. Punishments range from 20-25 years prison terms for perpetrators, and from 17-20 years for those caught planning a terror act. Is the Maldives at threat from the above? Since the Sultan Park bomb incident of 2007, how many incidents of terror has the Maldives seen? These questions are very important as the anti-terrorism bill curtails a host of civil liberties. The home minister is authorized to seek a monitoring and control or monicon order from the High Court to conduct surveillance of suspects, including tagging, restricting place of residence, restricting freedom of movement, intercepting communication and monitoring bank accounts. A monicon order can be issued without the knowledge of the suspect. The home minister only needs to provide the judge with a police intelligence report. The monicon measures introduced in this bill appears to be modeled on the United Kingdom’s Terrorism Prevention and Investigation Measures (TPIMs) Act, passed in 2011. The law was passed in response to increasing risks of terrorism. The July 7 bombing of 2005 killed 52 and injured more than 700. Further, a significant majority of the UK’s migrant population are from Pakistan, a country considered the “epicenter of terrorism.” Do we face the same threats to justify the granting extensive powers to the law enforcement agencies and the curtailing of civil liberties? It is also important to note that the prevention and investigative measures outlined in the UK Act is for those suspects who cannot be either prosecuted or deported by the UK authorities. In the case of this bill, monicon measures can be taken against suspects who are prosecuted and under trial, but cannot be held in custody. While a monicon order can be sought on police intelligence information, it is important to note that there is no special law on the gathering and use of intelligence information. In the absence of such a legal or regulatory framework, there will always be questions over the credibility of such information. The provision of using intelligence in the anti-terrorism bill underscores the immediate importance of a framework on compiling intelligence reports. This framework must be agreed on by the law enforcement agencies, the prosecution authority and judiciary. Investigative agencies must be aware that intelligence information does not always count as evidence. Instead, it is good investigative practices that lead to successful convictions. A heavy dependence and high degree of admissibility for intelligence reports, as provided for in this bill, could lead to ineffective investigations. It is true that a single act of terror can cripple the Maldives and its economy. The 1990 Anti-Terrorism Act is outdated and insufficient in dealing with the nature of modern crime. But is the proposed bill compatible with the risks Maldivians face? The Maldivian government is yet to acknowledge how wide spread extremist ideologies are in the country. After months of pretending to have no knowledge of the number of Maldivians leaving for Syria, the home minister in December last year told the parliament there were some 7 Maldivians fighting abroad. The next month, the commissioner of police said the number was more than 50. Media reports since then indicate Maldivians are continuing to leave the country. The police have now begun questioning passengers on board flights to Turkey, even as reports indicated Maldivians were now seeking alternative routes to fly to Syria. The risk of terrorism must not be underestimated. It is likely that there are some Maldivians with the motivation, the intent and the capabilities of carrying out acts of terror. But the most prevalent threats in the Maldives at present appear to be the recruitment of Maldivians for wars abroad and the spread of extremist ideologies. Although the bill does punish the dissemination of materials published by terrorist organizations, this is not enough to counter radical and extremist ideologies that give rise to terrorism and allow recruitment. Comprehensive reforms and measures such as public awareness, early intervention and rehabilitation programmes to combat extremism must be put in place, along with or before the passage of this bill. There has to be a comprehensive picture on the problem of religious extremism and a cross-government strategy to tackle it. As a very first step, the government must publicly acknowledge the spread of extremist religious ideologies. Our elected officials must explain to the us the level and nature of threats we are facing and justify why we must allow the state to take away so many of our civil liberties. 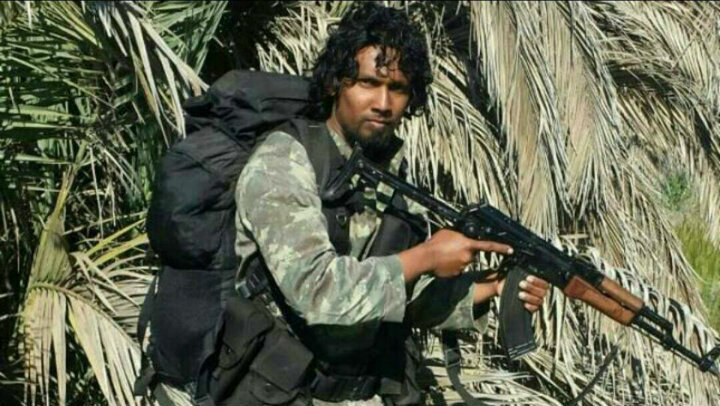 Posted on July 14, 2015 July 18, 2015 Author Minivan NewsCategories Features & Comment, PoliticsTags anti-terrorism, anti-terrorism bill, maldives, maldives news3 Comments on Comment: Will the new anti-terror bill deter Maldivian ‘Jihadists’?